In this photo taken May 8, 2018, the ZTE building is shown in Beijing. 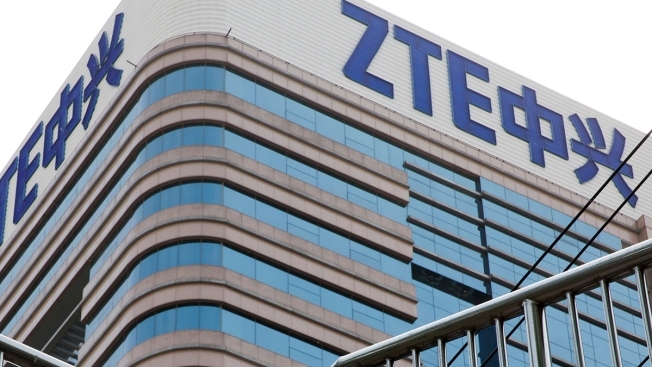 In a concession to the White House, Republicans in Congress weakened a provision to levy harsh penalties on Chinese telecom giant ZTE from the must-pass annual defense bill on Friday, NBC News reported. Democrats quickly criticized Republicans for caving in to president Donald Trump, who has been supportive of the Chinese company that is considered a national security threat. The move was made during negotiations between the House and the Senate on their separately passed defense authorization bills. "By stripping the Senate's tough ZTE sanctions provision from the defense bill, President Trump — and the Congressional Republicans who acted at his behest — have once again made President Xi and the Chinese Government the big winners and the American worker and our national security the big losers," Senate Democratic Leader Chuck Schumer said in a statement.